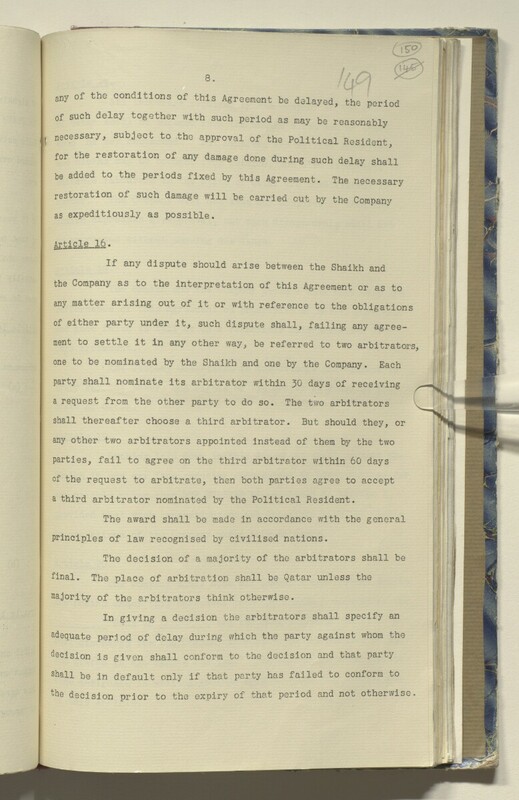 a third arbitrator nominated by the Political Resident A senior ranking political representative (equivalent to a Consul General) from the diplomatic corps of the Government of India or one of its subordinate provincial governments, in charge of a Political Residency. .
principles of law recognised by civilised nations. majority of the arbitrators think otherwise.